Vibrant, beautifully Tuscan and only an hour by train from Florence, Arezzo is nonetheless half-forgotten. Oft overlooked in favour of Tuscany's big name beauties, this provincial capital is known mostly to lovers of the joyful works of Renaissance artist Piero della Francesca. But this town's art, architecture and beautiful old centre is definitely worth that hour on the train. It is the closest city to the Casentino Valley, a region of medieval castles and Romanesque churches. For the best places to stay in Arezzo, we recommend properties just outside of town where you get the best of both worlds - Tuscan countryside and culture on your doorstep and also a couple of town properties too. Arezzo doesn't sit on the top of a hill like so many Tuscan towns, it runs across the side of a hill, so don't think you've escaped the steep climbs. Palazzos and churches - medieval and Renaissance - radiate out of several squares, so be prepared to do a bit of exploring. The Duomo, with its fine artwork, looks a little stranded opposite the ruins of a Medici fortress. There is a great municipal park though it is not the centre point you'd expect it to be. Arezzo's most famous attraction is probably the Legend of the True Cross, a set of frescos in the Basilica di San Francesco. The second best know attraction is probably the Casa di Vasari, or the house where local-boy-turned-well-known-artist and architect, and author of Lives of the Artists, lived. He did the wonderfully inventive frescoes himself, even coming up with the wonderfully allegoric titles and themes. The local archaeological museum which overlooks the remains of 10,000 seat Roman amphitheatre is also worth a look. The Piazza Grande is the main square. This is where everyone flocks to on the first weekend of every month when there's a huge market and antiques fair - there are about 500 stalls. The locals have a reputation for knowing how to shop and as well as the regular markets Arezzo has some excellent boutiques, the highest end of which can be found on the Corso Italia. 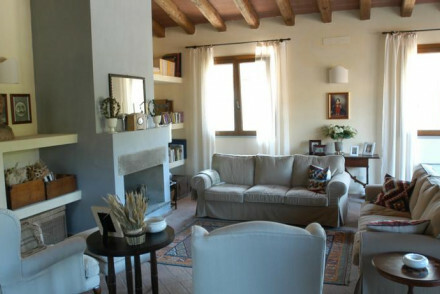 Whether your looking for a place in the heart of Arezzo or somewhere in the glorious surrounding Tuscan countryside, our list of the best places to stay in Arezzo will have something for you. Villa i Bossi is a gorgeous Tuscan estate just outside of Arezzo. Surrounded by its own lush gardens, vineyards and olive groves, this is a romantic place to stay and an excellent choice for foodies. If you're looking for a base from which to explore eastern Tuscany, the beautiful old farmhouse, Relais San Pietro, might be perfect. Quiet and traditional with a lovely pool and terrace, this is also a great country escape with plenty to do on and around the property. 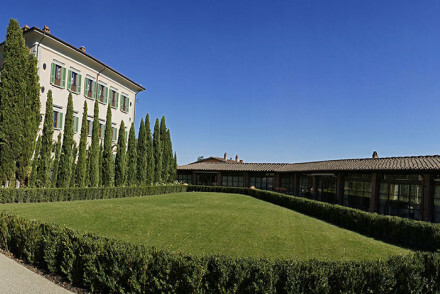 Nestled amidst 700 hectares of stunning Tuscan countryside, Il Borro is a stunning hotel. Set in a glorious villa as well as converted farmhouses, the hotel's elegance is plain for all to see. Sublime views, delicious food and luxurious rooms are all staples. Set in a historic house in the heart of Arezzo, Graziella Patio Hotel is a delightful place to stay. With an intimate atmosphere, the hotel's elegant rooms are luxurious and charming in equal measure. A great base for exploring Arezzo. With just nine rooms, Fontelunga Hotel & Villas is the perfect luxury guesthouse. Quintessentially red brick and Tuscan on the outside, this villa is contemporary and comfortable on the inside. It's also one of the best places to stay in Arezzo if you've got a big group or special occasion - exclusive use is easily arranged. The nearest airport to Arezzo is Perugia (57 miles). The best time to visit Arezzo is from May to September, when the temperature sits comfortably in the twenties. 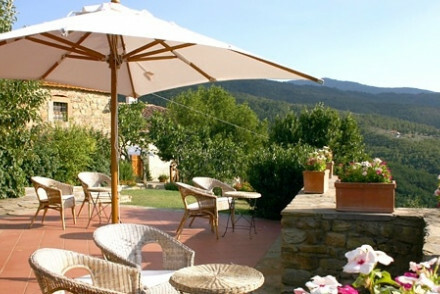 Expand your search to include all the best places to stay in Tuscany? or consider a hotel from our list of the 10 best wine hotels in Chianti? A charming guest house with contemporary bedrooms and peaceful garden. Just a short walk from the Piazza Grande and bicycles provided, this is a great spot for local exploring. Close to many local restaurants serving delicious Tuscan cuisine. Value chic - Fantastic value with rooms starting from just €70 per night including breakfast. A spectacular historic townhouse with beautiful contemporary classic interiors. Rooms and suites have elegant furnishings, some with private hot tubs, and all the mod cons. Specialist thermo beauty treatments and massages. A romantic spot for couples that want to be pampered head to toe. Sights nearby - Basilica of San Francesco, Cathedral of Arezzo, Vasari's House. 700 hectares of medieval Tuscan estate rich in history. 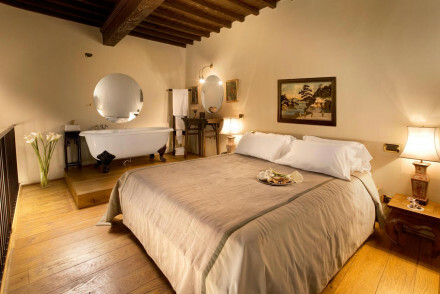 Whether apartments in the farmhouse or suites in the villa, Il Borro's magic is its ability to transport you back centuries while having all the hallmarks of a luxury hotel, as reflected in authentically rustic rooms and unrivalled amenities.